Small & Big Business Ideas, Entrepreneurship & Business Problem Solutions. 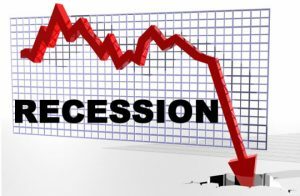 Economic recession! An everyday word on the lips of many. A global plague digging deep into the souls and hearts of many, putting both businesses and individuals at the mercy of forceful management. Economic recession or no economic recession, there are people who don’t just survive, they control the flow of cash in every economic system. This set of people are the big players of the economy. You can find them in businesses, government owned establishments and in most financial institutions. They are the driving force of every economy, they are the fuel and lubricant of the engine in any economy, without these people there wouldn’t be an economy. These people do not work harder neither are they smarter. They just know the right thing to do at the right time. Whether or not there is an economic recession, they hardly feel as much heat a common man feels. Be it small, medium or big businesses, every business tends to feel a heavy blow during economic recessions. In many cases, the first step most businesses take, is to actually downsize its work force, with the thoughts that a reduction in salaries and staff remuneration, will help the company stand at least, on one leg. Even after this move, they still find it hard to thrive in business. While most businesses fold up and cease to exist during recessions, a handful don’t just witness breakthrough, sometimes they go as far as acquiring other businesses that are on the verge of folding up. Look at Nokia that was acquired by Microsoft and Motorola that was acquired by Lenovo. Now it doesn’t mean that the owners of the thriving businesses have super minds, they are simply follow principles and have plans that guide their businesses. Whether or not your business survived the last global economic crisis, the after effect of the economic crisis, will still be found in many businesses. But the big question is, does your business possess what it takes to actually survive a future economic recession? Strategies for Small and Medium Business Survival in Times of Economic Recession. Way back during my university days, precisely in my finals, I had a lecturer who handled a crucial GS course for us then called Entrepreneurial Studies. This course was all about creating businesses after school, so as to prevent the constant submission of CVs by us; his prospective graduates. We were to write a business plan as our final assessment for the semester. It was there and then it dawned on me that a business plan was the BIBLE & QUARAN of every business.Today many businesses erupt without a business plan, which is a trait commonly found in those set of businesses that fold up during economic recessions. From online stores, ICT firms, Logistics companies and Multinational Companies, a business plan is a basic foundation of any establishment. In fact, it is the first step to starting a business. A business plan is not just a document containing charts and financial figures, it is the light in the arms of every business that is going through the dark tunnel. It could be very much possible that, you are doing something wrong or outside your business plan. Revisiting your business plan, will actually get your eyes opened to the things you may have been doing wrong. It could also make you add a contingency plan or what I refer to as PLAN C to what you may already have. I call it PLAN C because, a properly structured business plan, must have a PLAN B. More on this later. Revisit your business plan today and save yourself the headache of extra thoughts during the rainy days. Borrowing a few lines from the first point which is the revisiting of a company’s business plan, a very important section of the business plan is actually called CONTINGENCY PLAN, which simply means having an alternative or a plan B just in case your primary plan disappoints you in the long run of your business. If you are in the manufacturing sector for instance, your business plan should actually have a PLAN B when it comes to sourcing for raw materials, logistics as well as the source of powering up the machines in the factory. A business without a plan B is like a family of 10, where the family relies only on the income of dad, who sells used clothes. Looking at such family, without the mother working to support the father’s peanut income, the children will be at the mercy of hunger, constant sicknesses, lack of education and the rest. But when the mother supports the family with her own financial input, the family will have an alternative means to feed any day dad doesn’t make reasonable sells or any sells at all. Every business should have an alternative plan from the very beginning, in fact, if you intend getting start up loans from financial institutions, the most section to be looked at is your contingency plan. Imagine a situation whereby a solar energy plant, which has the sole duties of providing power to a particular location; say an industrial location. Now this solar plant imports the solar panels, puts them together and sets them up to receive sun light or solar energy, so as to be able to power the industries it signed up power contracts with. Considering the fact that inflation has hit every economy of the world, to import solar panels for an increase in power, may cost as much as four times the initial price. This will actually cause a heavy increase in the cost of their services which may lead to industries, looking for an alternative and cheaper means to have power. If this solar plant had no business plan during its start-up, it wouldn’t just lose customers, it will have to downsize its staff, record a lot of loses, be forced to seek for loans and may even end up closing down. But look at a company that had a professional business plan, they may have alternatives like looking for a cheaper supplier of the raw materials, partner with other companies in the business or may even decide to save cost by getting a supply of silica sand; which of course is the basic raw material for solar panels, get chemists and physicists with experience, to commence manufacture of these raw materials locally. Having debtors is bad for business, this is because it involves cash flow. Cash flow is actually the bedrock of every business. Joking with it is like, unplugging the oxygen mask of a patient who is virtually dying. You need to gain a strong control of the cash in your business and letting debts linger in your business can be killing. We all know there must be credit facilities in your business that will make more customers to patronise the business. But do not give a killing or uncomfortable credit facility that will send your business to the bottom of the sea. As a starting entrepreneur, you need to actually prevent having debts in your business by having a persuasive means of making your clients pay you what they owe you. You need to work closely with your customers, to make sure you provide them the right credit facilities as well as working with them to make sure they fulfil their own end of the bargain. This will make sure your cash flow will be able to sustain your business. Bill Gates and Aliko Dangote refer to business as “a game of numbers”. So know your numbers and don’t gamble with them. Going on a vacation once in a while is very important because, the mind which is the seat of all energy, functions properly when the body and soul are at peace. But spending on things that have no positive effect on your business, should be cut off. You wouldn’t want to work hard and in the end, you find yourself biting the vase of your pen. Your expenses should have a direct positive effect on your business. When your expenses surpass your profits and begin to dive into your capital, you need to watch it. Do not forget you have got workers to pay. A lot of business bosses think that when they are hit with recessions, they have to curtail advertising rates so as to save cost. Well curtailing your advertising rates is a good and bad thing to do. It is good because, you will end up saving your cash which, may still disappear in the long run. In The Holy Book (The Bible, I don’t know about the Holy Quran) states that money has wings and can disappear without a warning. It is bad to stop or curtail advertising because, you are going to miss out in a lot of things, like a new market and the loyalty of your customers. 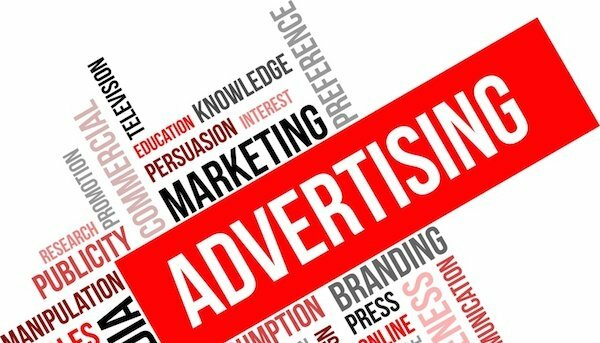 Spending more on advertising your business will actually expand your products into the subconscious minds of many, thereby creating a new market for your products, this is very important in case some of your old customers start getting cheeky. It equally keeps your business afloat because, while other businesses in your category are thinking of what next to do, you actually hijack their customer base. This is because, you have a proper plan and customers always go for a product that has market power. It boots your strength and lets people know that your business knows what it is. Your existing customers will have the assurance that you have their interest at heart and this will make them go a long way in supporting your business, by patronising you. When it comes to spending in businesses, most business owners actually think spending from their reserve is the best thing to do. That is actually the fastest way to run down a company without breaking a sweat. The best and easiest means of expenditure in times of recession, is from the weekly or monthly funds the business generates from sales and services. The reason is this; when you spend from your reserve, you have nothing to fall back on when things get messier. Your business will not only land on its stomach and face on the floor, it will equally scatter without the business owner finding its pieces, in this case you don’t just spend your profits, you equally cause more harm to your business the more by spending your capital as well. But when you spend from your weekly or monthly sales, you will actually spend from your accrued profits and excesses, (I said excesses because, with economic recession comes inflation; a continuous increase in the cost of goods and services) just as you will increase the cost of supply of your products and services, you will make some excess profits (if you actually had a heavy arsenal of raw materials before the coming of economic recession). Most businesses do not know the importance of having a team. No one’s mind has the solution to every problem. Ever heard of the quote ‘a problem shared is half solved’? When you have a business team, they give you second and third solutions to your business problems. You may be able to produce only one solution to your business problems which may end up not getting positive results. But with the team, they brainstorm and come up with other alternative solutions that will give your business a thumbs up. Your business team can give you innovative ideas that will make your business escape further problems which come with economic recession. Remember that innovation is one of the secrets many companies that have survived heavy business storms possess, take a look at Microsoft and Research In Motion; makers of Blackberry devices. Blackberry devices were the ‘in thing’ a few years back, no matter the cost of any Blackberry device, they still sold as much devices that they could sell, but they lacked innovation which has made them hang on to past glories and further lack of innovation may make this company to wind up. Making use of Android OS in their latest devices, is a late-not-the-right-move to make at this point in time. Have you actually asked yourself why the BBM ping app which was exclusive to Blackberry devices, is now available on every platform? Microsoft on the hand, has been innovative, which is what I will say, is their saving grace. If you are tech savvy, you will notice that the latest Windows 10 OS has little adjustments from the days of Windows XP, Windows 7, Windows Vista and the rest. Basically, it all boils down to team effort, I have all authority to say that Microsoft’s team is consists of a larger number of young persons who actually know what trends in the world today and this is what gives them an edge over any other OS that runs on computers, except of course Apple which has its OS on specific machines. ’Individuals don’t win in businesses; teams do’ – Sam Wilton. 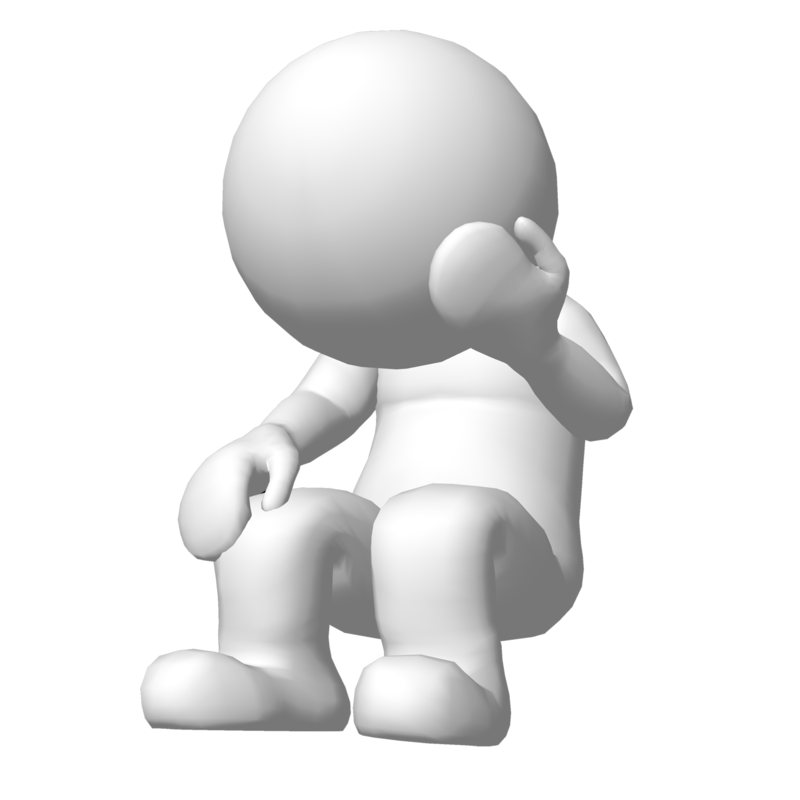 A bad move most businesses make is the abandoning of their customers. Every business exists because of your customers, they are the real owners of your business, you are only a care taker; I mean losing just 10% of your existing customers, will spell doom for your business. These customers will be ever willing and happy to spend their hard earned cash on some other business that will treat them like the kings they are. Statistically speaking, finding new customers costs more than retaining existing ones. One cheap and never dying means of your business to spread and get more customers, is the testimony your existing clients pass around. Ever heard the quote “bad news spreads like fire”? , if you ever treat your customers with distrust and poor services, be sure to get a drop in reviews and exodus of existing customers from your business. The other companies in the same line of business as you, will be forever grinning in the corner, with their arms wide open to accept your customers. Stay true to your customers and treat them like the same way you treat your assets. Don’t downsize your staff during recessions because, the minds and energy of your existing staff, you can never find elsewhere. Other companies in the same line of your business, will brain-drain your staff. Imagine a scenario where FORD Motors begins to downsize its staff that of 20 years and NISSAN Automobile is looking for a credible staff force with experience, you definitely know what’s going to happen. Instead of firing your staff, create the thoughts in their hearts that you value them. You can bring them together, let them know the crisis the company is facing and decide with them to slash their salaries including yours, with a promise to gradually pay up the remaining percentages by the time things begin to get better. This will not only show them you value and trust them, this will prompt them to work overtime and try to get more done. You can also support them by being present beyond the time you usually leave the office. If you usually leave by 2pm staying till 4pm, will induce this thought in their hearts ‘if my boss is still here by this time working, he values us and what more do I do but support him’. They will make your business theirs, they will assume a greater responsibility in your business. Depending on the business you run or if you were stubborn enough to downsize your work force, the best bait at this crucial moment is to hire freelancers or contract staff. Freelancers are people who sell services to different employers without a long-term contract with any of them. Contract staff are people you hire for a period of time to provide needed services for your company. Both freelancers and contract staff are usually paid lower than what permanent staff are usually paid. Sometimes freelancers have more experience than permanent staff, experience here doesn’t just refer to number of years, working with different establishments, with different persons under different conditions is the best experience one can get. Though it is possible to extend their contracts, they hardly have permanent places of work. After going through How Small and Medium Scale Businesses Can Survive During Economic Recessions, companies not just in third world countries but, those in advanced countries as well can adopt the above strategies for positive results. Public Administrator and a salient Entrepreneur who believes so much in financial freedom and that everyone on earth is an entrepreneur in their own way. I run two other blogs. I am equally a real estate investor and a content manager. How To Save Your Business’s Finances Without Loans. 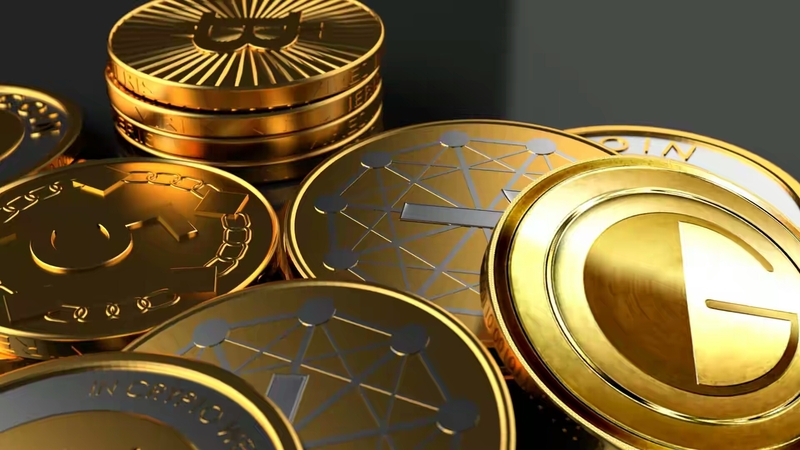 Why Small Businesses Should Embrace Cryptocurrencies. Why You Need A Clickbank Account In Nigeria. How I Made My First $1000 On Clickbank In Nigeria Part 1. Mini Importation Business In Nigeria. How To Open A Clickbank Account In Nigeria For Free (2019). 8 Dark Sides Of Entrepreneurship You Never Knew. Kenny Nwakanma on Why You Need A Clickbank Account In Nigeria. Raphael on Why You Need A Clickbank Account In Nigeria. Kenny Nwakanma on How To Open A Clickbank Account In Nigeria For Free (2019). Charles on How To Open A Clickbank Account In Nigeria For Free (2019). Property of No Hitch © All Rights Reserved.